Need a sweet treat? 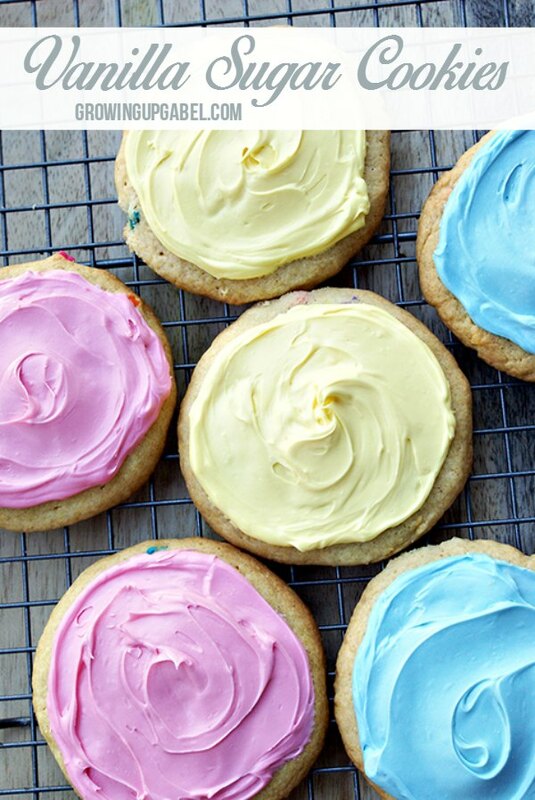 This vanilla sugar cookie recipe is perfect for any occasion! Sugar cookies are usually a staple at Christmas time. We love to make Cream Cheese Sugar Cookies. But these cookies put the cream cheese in the frosting and add a little extra vanilla to really pop. Add some pastel frosting and these beauties are perfect for spring events. 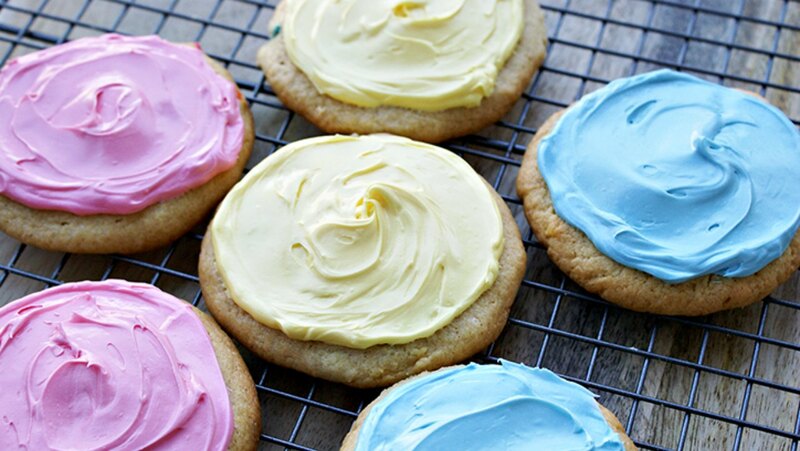 There's no real trick to this vanilla sugar cookie. It uses a combination of butter and shortening, which makes it sturdy and tender at the same time. It does need to chill for an hour so make the dough in the morning and it'll be ready for baking in the afternoon. The cookies are frosted with a rich cream cheese cookie icing dyed pastel for the season. They would be pretty for a bridal shower, Mother's Day or Easter Brunch. In a medium bowl, add flour, salt, baking powder, and baking soda. Give it a mix with a whisk. In a large bowl, add sugar, butter, and shortening. Cream ingredients together until a fluffy texture has formed. Add in vanilla extract and egg yolks. Mix until blended. Then add in vanilla yogurt, and mix until well blended. With your mixer on low, slowly add in dry ingredients to creamed sugar mixture. Once done, place in fridge for 1 hour. Pinch off a donut hole sized piece of dough, and roll in your hands until a ball has been created. Place on a silpat lined baking sheet (parchment paper is fine, too), and then flatten out until it's about a 1/4' thick. Bake for approximately 11-12 minutes. Allow to cool and then transfer to a wire cookie rack to complete cooling process. Frost with Cream Cheese Cookie Icing. I love sugar cookies. Yum! Thanks for joining the Inspiration Spotlight party. Pinned & shared. Hope to see you again soon. These look so cute in all the spring colors! Thanks for sharing this with us on Throwback Thursday!